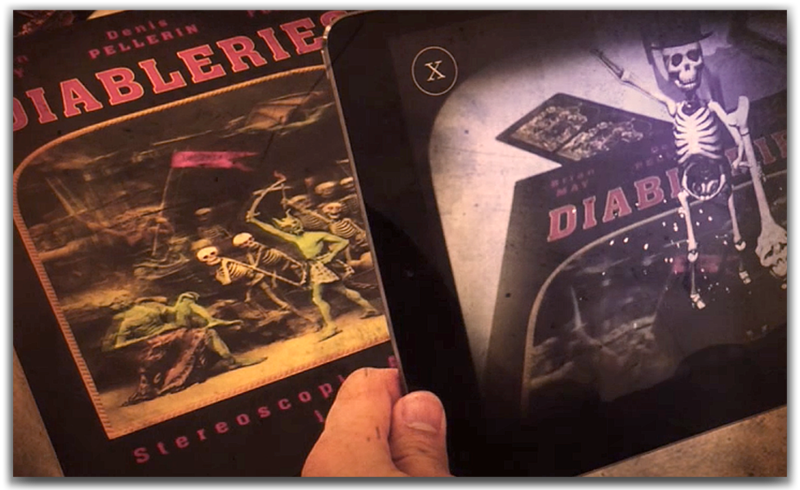 With the Diabl-O-Scope, you can interact with the Diableries characters featured in the film “One Night in Hell” using the wonders of augmented reality. Launch special visual and audio effects that react to your play. Record your augmented reality experiences, upload the videos you have created, and share the videos on social media platforms. 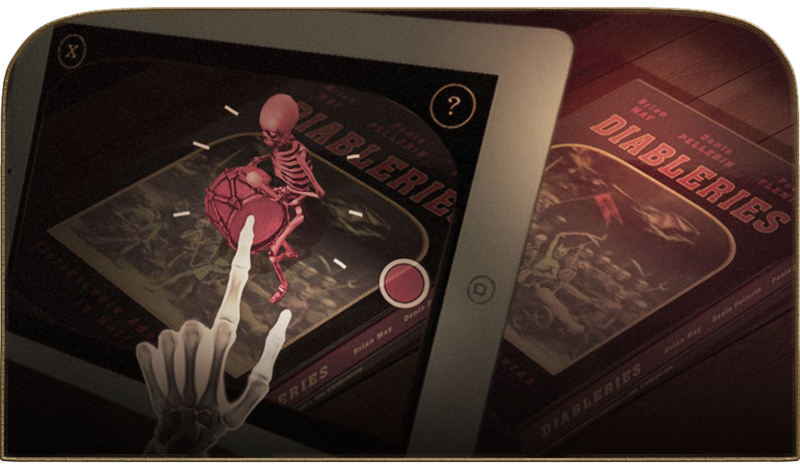 In order to use the Diabl-O-Scope in the Diableries app, you need to obtain a Diabl-O-Trigger. 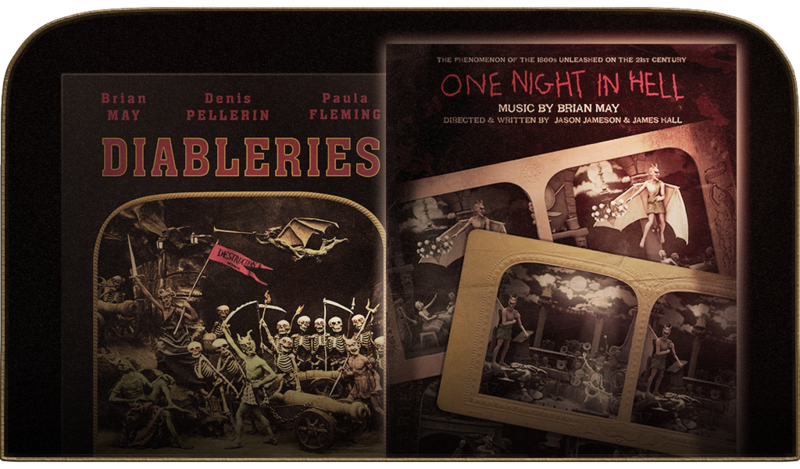 There are currently two Diabl-O-Triggers: the image on the cover of the “Diableries: Stereoscopic Adventures in Hell” book and the “One Night in Hell” film poster image. 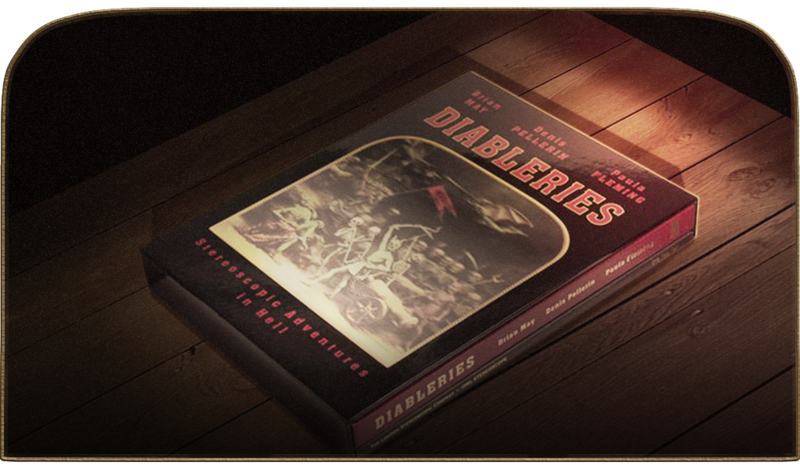 If you already have a copy of the book or film poster/postcard, you can use it directly as a Diabl-O-Trigger. If you do not already have a copy of the book or film poster/postcard, you can use any paper print-out or digital version of these images as a Diabl-O-Trigger. Place your Diabl-O-Trigger onto a flat surface. Launch Diabl-O-Scope application on your Diableries app. Align the on-screen guide with the Diabl-O-Trigger. Pull back the screen to experience the magic. Make sure your volume is up. 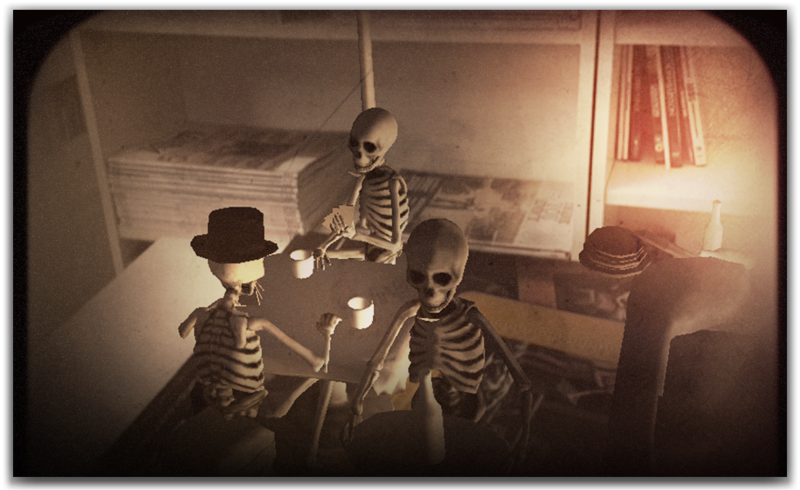 Interact with the characters on the screen, they react to your play. Tap for effects and move your device around. Make sure you are not in a dark spot. Avoid glare and reflection. 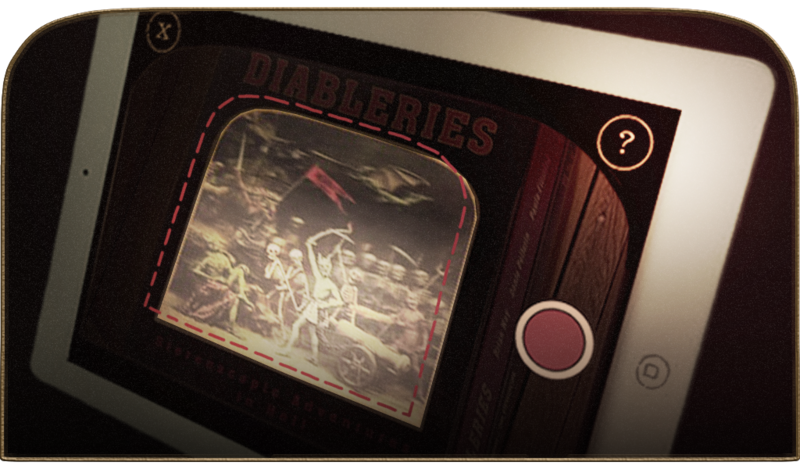 Align the onscreen target with the Diableries book cover or other Diabl-O-Trigger. Pull back to reveal the scene. Unshared Diabl-O-Scope videos are automatically deleted from the device once you begin a new recording.